The ultimate in cozy, these scarves will live around your neck. 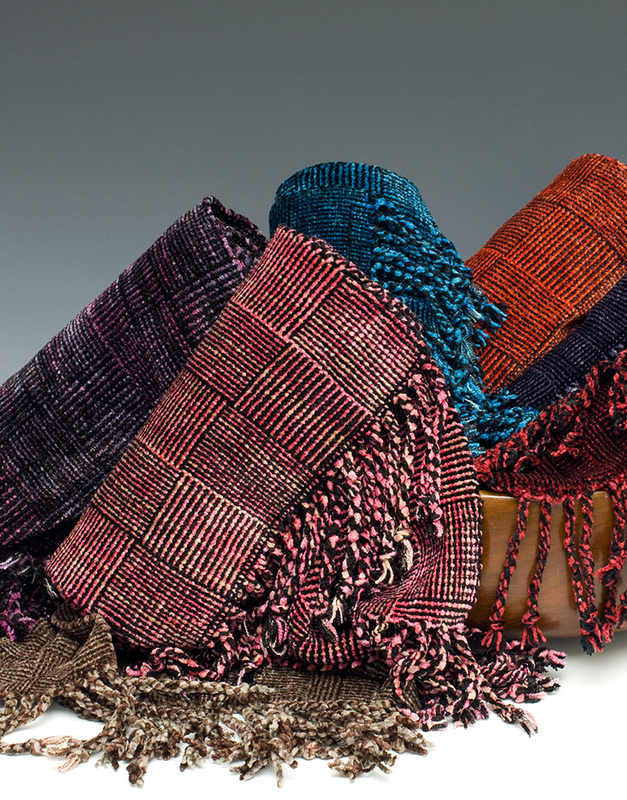 The rayon chenille yarns take the dye in a fascination way- reflecting light and creating a luminous quality. Additions of supplemental yarns add texture. Color, color, color- will add energy to any outfit.